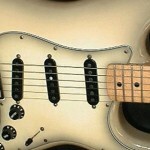 The Relic Guitar Debate... Love them or hate them? 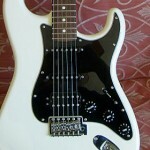 A debate among guitarists over recent years is the subject of the “relic guitar”. 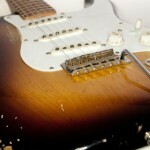 To many, the appearance of a well used and battered guitar is a beautiful sight to behold. Somehow, a worn looking guitar appears to have its own unique character and personally; a story to tell. The appeal of owning an authentic relic guitar has grown so much over recent years that many luthiers offer to relic your guitar as a service and Fender is just one of many manufacturers that offers consumers the opportunity to purchase “brand new” relic guitars off-the-shelf. 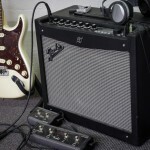 For example, the Fender Road Worn series allows guitarists to purchase a vintage looking Strat or Tele at not-so-vintage prices (although the Fender Custom Shop relic series takes prices to the opposite end of the spectrum). 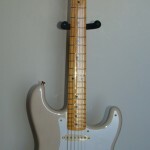 The topic of the relic guitar can branch in many directions; from an individual personal opinion, right through to learning and applying DIY relic methods. 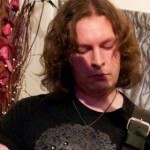 Sean Rezel is the man behind FenderRelic.net, a blog that is open minded to the guitar relic debate and features many relic related articles. It feels only right to pick Sean’s brain, to find out more about his opinion about relic debate, along with finding out more about his website. 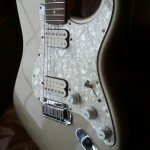 Hi Sean, before we talk more about FenderRelic.net, can we have your personal opinion on relic guitars? Hi Sam, thanks for having me. Simply put; I like them. 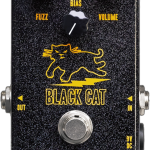 They serve a purpose within the guitar community and it gives the guitar player a special feeling as not every guitar is relic’d the same. 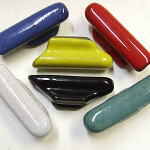 It is unique; every dink, wear, rust, scratch and decolouration is different. 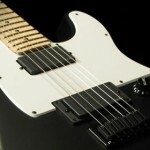 Why do you think there’s such a demand for relic guitars? 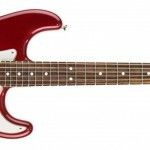 You may find my answer strange but the reason, I feel, is Fender’s and other guitar manufacturer’s use of Poly instead of the traditional Nitro as the finish preference to most modern guitars. 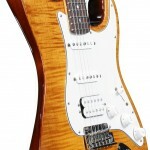 These modern, poly finished guitars almost never wear down naturally, so in time, it created a demand for these relic guitars as guitar players craved the vintage look of old.Of course, another reason would be that to actually wait for your new guitar to wear down, it may take 30 years or more, so really, guitar players who are 40 years old may not be able to enjoy a true vintage instrument till they are 70! 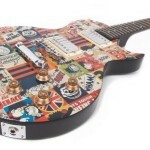 The demand for a relic guitar is huge as people want to own and play a ‘cool’ guitar on stage NOW.Demand is huge, as these relic guitars, although not in any means cheap, are MUCH cheaper than a true 50 year old vintage. I guess the smart thing here is to only own what you can afford! 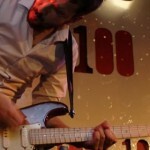 Do you think that a relic guitar has just as much kudos and character of a naturally aged guitar? 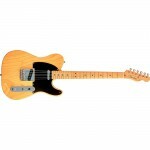 Musically, I feel that some of the new, relic guitars are far better than their vintage counterparts. 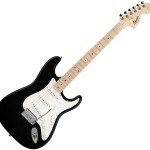 In my opinion, character is more to do with the guitar as a whole than anything else. Some new guitars sing because the sums of its parts have some kind of mojo going around. I’ve played some guitars that are duds for the same reason; and the strange fact is that I have played two guitars; one with mojo and another a dud; that came out of the same factory, that were exactly the same model, assembled by the same people on the same day! 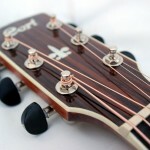 I truly believe that the wood, metal, plastic and other parts play an important role to the true characteristic of the guitar. The wood, more so than other parts, as it was a living thing… and every living thing has its own characteristics. 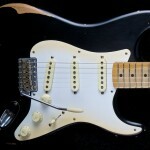 Which manufacturers have you come across that offer great value relic services or “off the shelf” relic guitars? 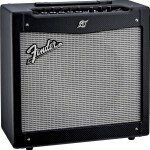 Fender and Gibson do a good job. 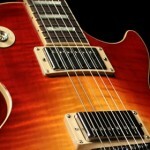 Lots of their guitars are quality especially if it is a CS (Custom Shop). I have also read in forums that MJT is pretty good although, personally I have never used them. 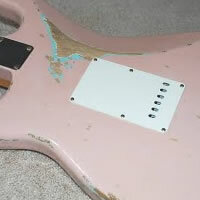 Have you ever tried to relic a guitar? Any tips!? Yes. Don’t try to drop it off a stage 2m high; you might snap the neck instead! LOL! In all seriousness though, the major tip is to stay safe. Some of the techniques that you come across on the web are done by seasoned professionals and they take precaution when using acids or other chemical solutions that wear down the parts. Nitro fumes can be a danger and it is also easily flammable. 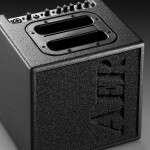 Can you tell our readers more about FenderRelic.net? 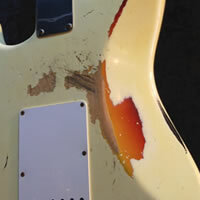 FenderRelic.net was born out of the fact that I had dropped my Special Edition Telecaster off a stage and when I went onto the internet to find out more about damages on vintage and relic guitars, I couldn’t find much help. No great articles, most of the time, you come across a website that is trying to sell you something or every other thing. 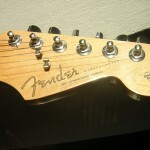 No honest articles, no passion, no nothing.So I decided that that FenderRelic.net will be different; somewhere where people can find a good article as well as some recommendations that I personally hand-pick. I will not write about something (or recommend something) that I don’t believe in and it will always get the most honest review. Are there any guitars that you’d like to see receive the full relic treatment? 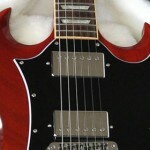 Yes, Hagstrom guitars doing a relic series! 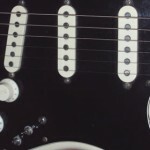 Some interesting points that Sean mentioned and I’m especially curious about the aspect of how well modern relic guitars play, compared to their vintage counterparts. It’s also encouraging to know that a high quality, modern relic guitar can be purchased at a fraction of a the price compared to an original. It’s not everyday you walk out of Vintage & Rare Guitars with a ’62 Strat in your hand, but it’s far more conceivable to leave the shop with a Custom Shop relic and a 2K dent in your wallet. 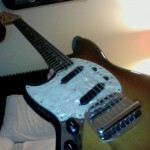 The subject of the relic guitar can open a can of worms. 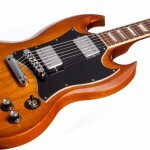 Many guitarists prefer to play a beautiful, pristine instrument, where others love the look and feel of a guitar that looks like its seen better days. 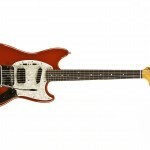 What are your thoughts about relic guitars? Please add your opinions by commenting below. 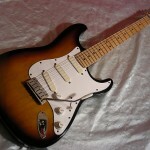 i love the look of a reliced strat. so sweet. My dad owns two (two!) 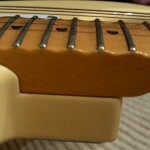 Fender Heavy Relic Strats. You have to see them in the flesh to see how good these guitars look, sound and play(the neck is the nicest I’ve played and I have played an original!). I have found alot of guitarists thought my dad’s guitars were actually from the 60s and were shocked to find that they weren’t. 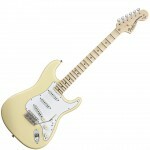 Fender have done an awesome job – who sees a battered old strat and doesn’t think it looks wicked?! Here’s one (two) for a fraction of the price! I can see how this idea might seem a bit odd but you should try one, you’ll love it! 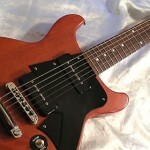 Signs of a loyal “work-horse” but… I’m kind of on the fence about guitars that been fabricated to LOOK like a relic. I prefer the actual worn from use.